New Arrivals! 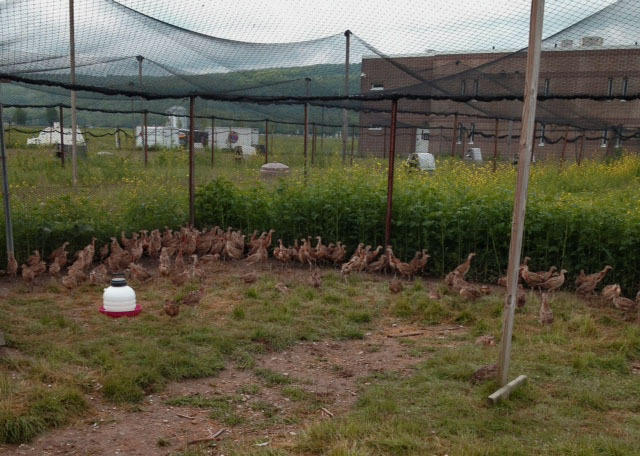 The first batch of this years (2015) chicks have arrived! Birds Transfered out to pens! Birds prior to fitting with blinders. As more pictures become available we will post them to show the progression for this year.